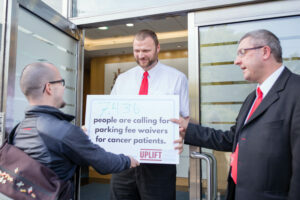 Your people-powered petition with over 7,400 signatures was delivered to the RCSI Hospitals Group. Their response was to lock their doors and send security to turn away a respectful group that included people who’ve been directly affected. 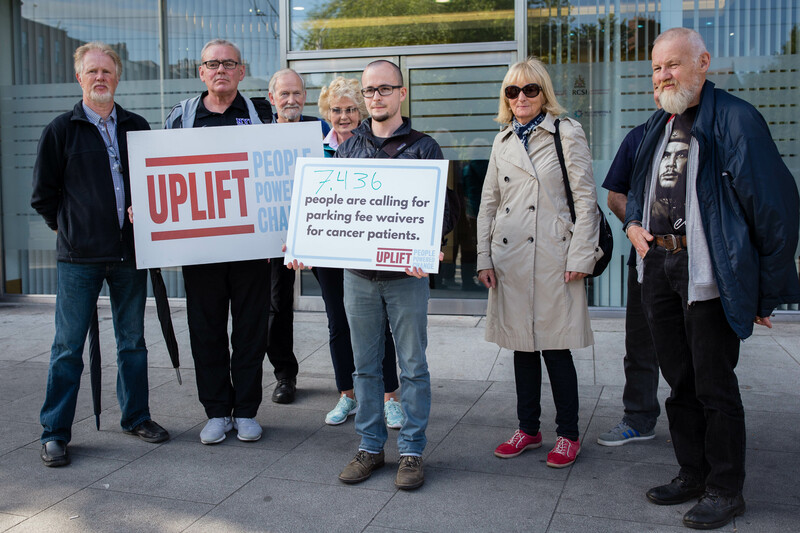 A small and respectful group gathered outside RCSI Hospitals Group’s office on Stephen’s Green in Dublin to deliver the petition in support of cancer patients. Management was notified several days in advance, and we were told to bring the petition to their reception desk. 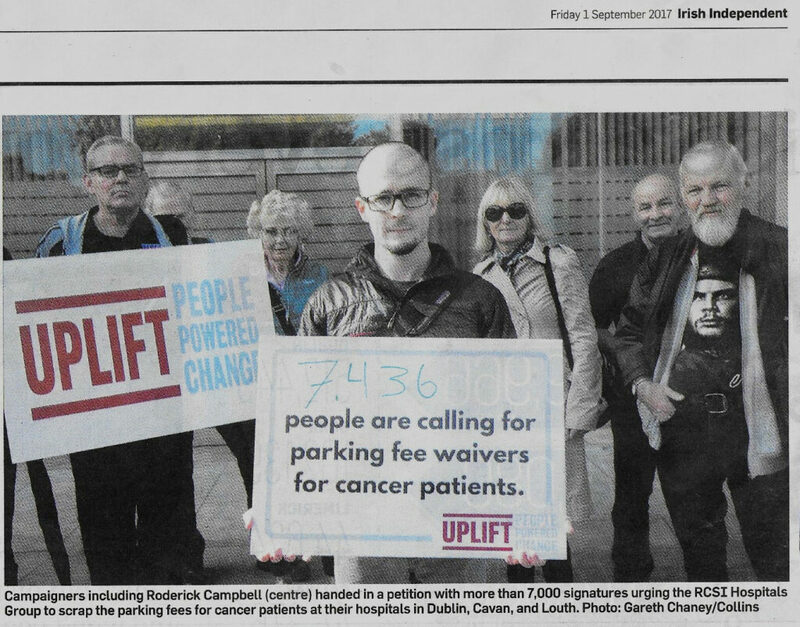 We asked that a member of management be available to briefly hear the concerns of signers, including patients and affected families. On arrival we were turned away by security guards and told no member of management was willing to receive the petition or speak to those affected. Despite national media coverage, hospital managers have refused to comment — they’re hoping the issue will disappear.